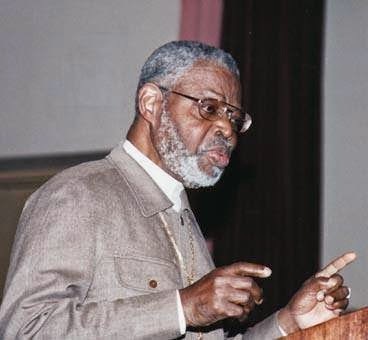 Caribbean Spirituality and Understanding in the Diaspora: Uniting Two Ancestral Trees! 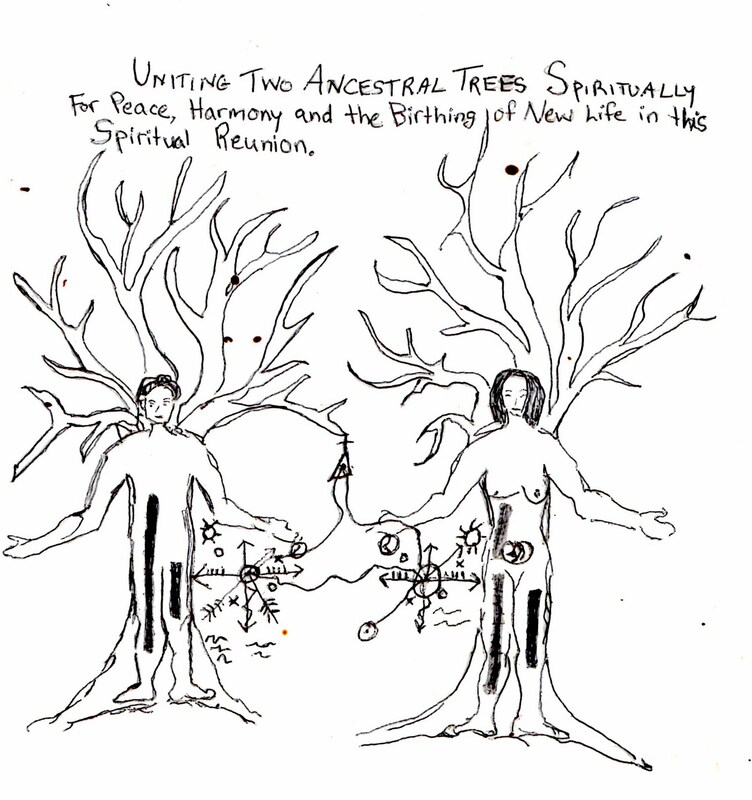 Traditionally we know that "marriage" or the "uniting of two Ancestral Trees" is a decision come to through a spiritual investigation or spiritual understanding. 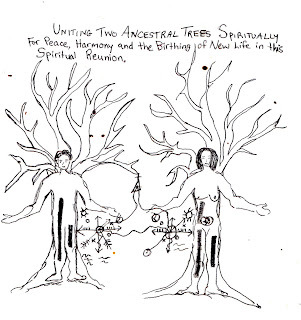 In many instances divination is a key tool within this decision; Elders within the families are also involved, utilizing their wisdom to ensure a healthy and harmonious uniting of the two Ancestral Trees. In my work I saw and continue see many cases where within the relationship or "marriage" the two Ancestral Trees are in conflict or even Spiritual War with each other, this inevitably manifests in difficulties in the relationship and if there are Children involved, these conflicts manifest in the Children. Very often the parent's spiritual issues need to be addressed before or alongside the issues the Children are facing. In some cases I have seen two individuals who are in relationship, who are trying conceive a Child. Often they have gone to the extent of spending tens to hundreds of thousands of dollars to address this issue medically through fertility clinics and the like. In case after case that have come through my Munanso, I have seen that the problem is spiritual and once this Spiritual Conflict is resolved, conception of a Child is immediate. These Spiritual Conflicts arise for many different reasons, sometimes it is due to what we call a "family chain" passed from generation to generations stemming from some incidents that occurred generations ago and were hidden in the "family closet". Uncovering this can be a long process involving Divination, Spiritual Misa, Spiritual Investigations and Healing and Purification Ceremonies. Sometimes this conflict comes from the two individuals involved "offending" each other's Ancestral Spirits through behaviors and words. At times there is a direct conflict between the Ancestral Spirits of the two individuals for reasons that the individuals are often unaware of, but which we can discover through Spiritual Investigation. The above Firma was made for the benefit of two "married" individuals who desired to conceive a Child. 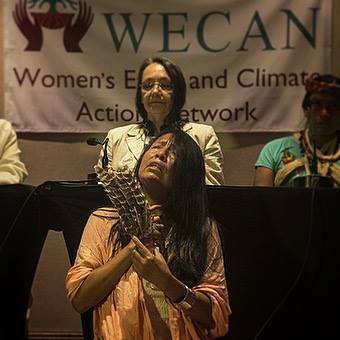 However a profound Spiritual Conflict existed between them and their Ancestral Spirits due to present and past behaviors, and the Spirit of particularly the woman was blocking the conception of a Child. The conflict had both Ancestral aspects and Material aspects. In the Firma I have crossed out the names and birth dates of the individuals in order to protect their identity. This Firma was put with the Mystery and strong invocations and mambos were sung as the two individual's danced and sung and made their own prayers through their words and movements. 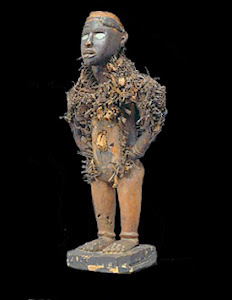 As this took place the attendant Tatas and Yayis were able to perceive the energy that this Firma and the accompanying Mambo brought forth, an energy of fertility, sexuality, conception and union. The Firma remained with the Mystery for some time to continue to empower the energy between the couple. In my years working on this particular issue of couples who are unable to have children through medical knowledge, there has been success after success through utilizing Tratos such as this one, working with the Mystery of the River directly, Spiritual Investigations, and Spiritual Healing and Purifications, and many children have been born from these blessings from the Mystery. As I watch many who come through my Munanso, or whose lives touch mine in some way, struggle with these relationship issues, it has become very clear that many are involved in either Severe Spiritual Conflicts or out and out Spiritual Wars with their "significant other" which can be overcome and/or prevented by approaching relationships from a Spiritual Perspective and not merely from a material-emotional perspective. As Paleros and Tainos we have access to the Ancestral Wisdom which can lead us into healthy relationships which by their very Spiritual Nature are Productive, Fertile and Creative (whether they give birth to Children or to other manifestations of Creative Energy). We have the wisdom to guide and teach our Children as they go through the changes of becoming Women and Men to approach relationships with Spiritual Wisdom and Spiritual Insight, rather than follow physical and emotional energies alone. I am not an advocate of "arranged marriages" however I am an advocate of Empowered, Insightful, Clear, Creative and Harmonious Relationships. With the blessings of experience and Spiritual Growth we overcome past "mistakes" made from unclear emotional and mental places born from the breakdown of traditional practices, values and wisdom. So through traditional Principles and the Principles of Spiritual Growth and Upliftment, we can reclaim our power within Relationships to be healthy and harmonious within them!